Gift vouchers make a lovely and thoughtful gift for someone you love, for friends, family or colleagues. Our gift vouchers can be bought online — and they couldn’t be simpler to use. 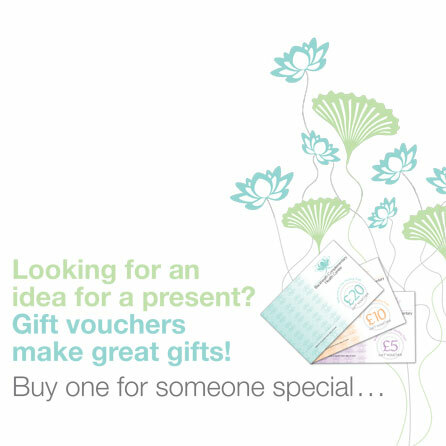 You can buy a gift voucher from £35, and they can be redeemed against any of our range of professional therapies, treatments, classes and workshops. Both men and women, young and old, will find plenty of choice. From acupuncture and osteopathy to a range of relaxing and beneficial massage treatments. A yoga class, a workshop on meditation – the choice is theirs! Order online below using Paypal or you can buy them direct from the Centre. Please note that they have to be used within six months from the date of issue. Any questions, email us or call us on 0208 293 5380. How would you like to collect your voucher? * Please note that your paypal receipt is confirmation of your purchase and your gift card will be sent by first class post within the next 3 working days.